Apple (AAPL) announced that it is officially launching the Apple Credit Card, something that we predicted seven years ago. 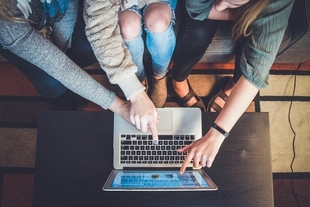 Set to launch in the US by mid-2019, the stock market and tech commentators were set abuzz with the news of the Apple Credit Card and the new TV+ streaming service. It makes sense. For years Apple has been storing your credit card information. 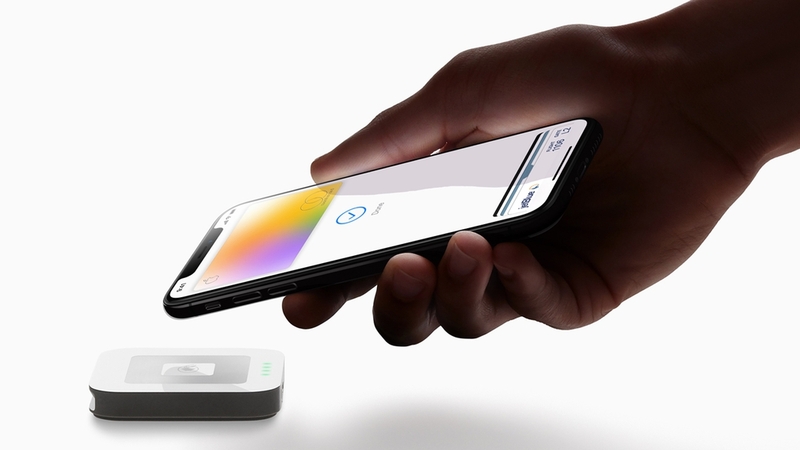 And now, in partnership with New York investment bank Goldman Sachs and global card network MasterCard, Apple is launching its own card product. We thought that Apple would be ripe for making their own card a long time ago. 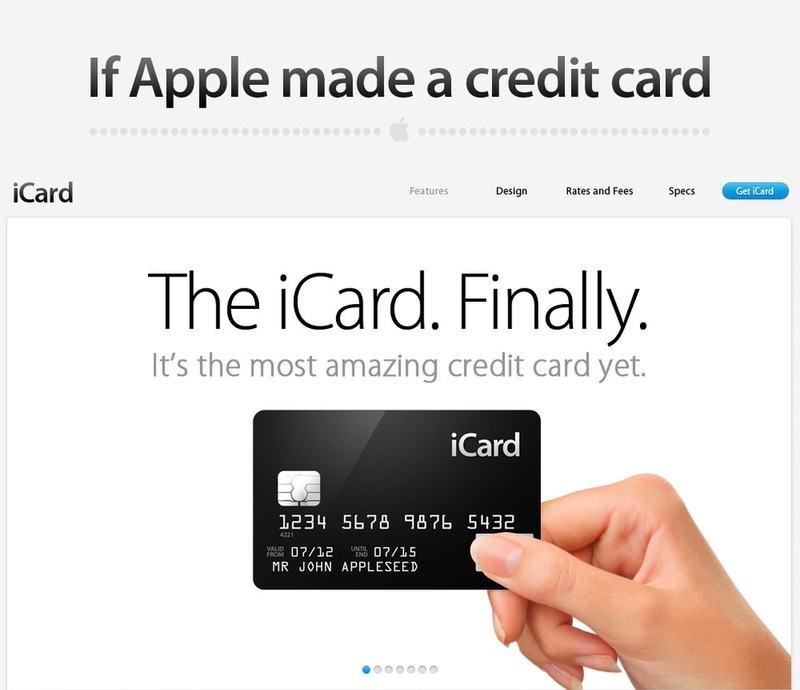 All the way back in 2012 we predicted that Apple could do their own credit card in a playful product mockup. Card: After application and approval for the Apple Card, the digital card is issued straight to your Apple Wallet immediately. This is the primary method of use. Then there's a numberless laser-etched Titanium physical card for use at all the places where Apple Pay is not accepted. Also no expiration date etched on the Titanium card. Daily Cash: Earn 3% cash back on purchases of Apple products, 2% cash back when using Apple Pay and 1% cash back on everything else. Cash can be used right away for more purchases using Apple Pay, or put toward your Apple Card balance. Or sent to friends and family in Messages. Fees: No annual fees, no international fees, no over the limit fees, and no late payment fees. And Apple's goal is to provide interest rates that are among the lowest in the industry. Clearly low barriers to entry in a move to attract young card holders. Security: Real-time fraud protection by instant notification on each transaction. Touch ID and Face ID for purchase authorisation. 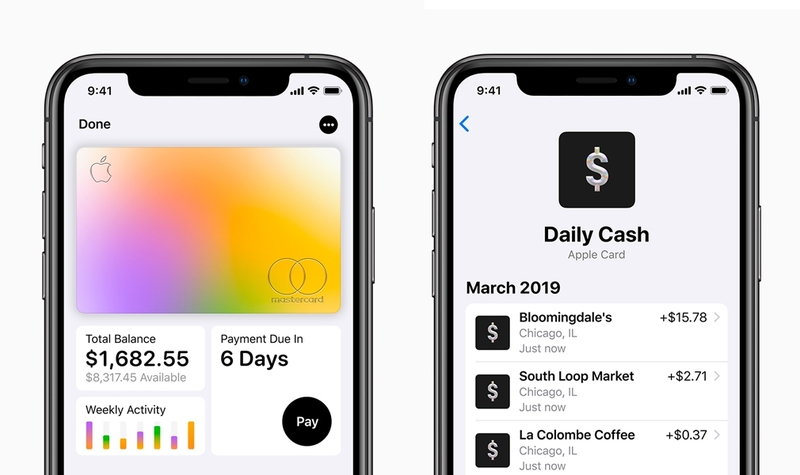 Management: The Apple Card shows your spend by day, category, and daily cash. Purchases are also automatically color-coded based on spend categories. Under CEO Tim Cook, Apple stock price has been flat-lining. In fact, in Dec 2018 for the first time in almost two decades, Apple revised down a revenue outlook to Wall Street. They need something new. Apple was quickly followed by megacompany Amazon (AMZN) to reach the US $1 Trillion market valuation. The product and the new Apple TV+ streaming service will hopefully boost revenues and profits as sales of the iPhone continues to slow. The Apple Credit Card incentivises people to spend more money with Apple. 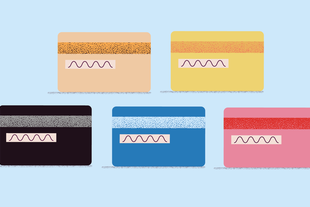 Let's not forget that the Apple Credit Card isn't just a convenient way to pay. Nor is Apple a disrupter in the financial services world just for the sake of it. It helps with revenue and retention. The Apple Credit Card incentivises people to spend more money with Apple, and further cement the use of Apple Pay for purchases because it offers 3% cash back on Apple purchases, 2% cash back when using the Apple Pay functionality on your iPhone. And for merchants which don't have contactless card terminals, customers will get 1% cashback on all other purchases when using the physical card. All of these things keep users locked into the Apple universe. Talk about a powerful partnership. The Apple Card also supports Goldman Sach’s expansion into consumer banking. Mind you, early analysis of the card by Goldman's own investment analysts was less than impressed. 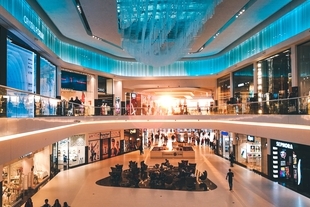 They expect "a large percentage of transactions to be done at the 1% return level (using the physical card) so we would expect the typical consumer to perceive the cash return rate to be OK but not great." And, as a result, the Apple Card will probably have “little short term earnings impact” on Apple's $84 Billion quarterly revenues. View our playful mockup of the iCard in 2012 ... If Apple Made a Credit Card. A number of predictions we made were actually spot on. The deep integration with iOS would give the card its natural home in Apple Wallet which was called "Passbook" in 2012. We also accurately predicted the no-fee structure. The notifications center was pretty close too. And we were close enough on the ability to ask Siri to pay your bills, change account details etc. Our "Ready for business" prediction was close. We got the "iCard" name wrong. The era of "i" everything is over. We envisioned a rewards program instead of the cash back structure which gives customers a much more immediate reward. The 'Find my iCard' prediction was not accurate. There's also no mention of Apple Care as of yet. And we were way off on the green incentive of Apple planting trees on your behalf. When will the Apple Credit Card come to Australia? Goldman has confirmed that the Apple Credit Card will roll out internationally but didn't say when or where. But if Apple's past is to be followed then Australia will be on that rollout list of markets. Plus, we don't know if it will have the same cash back structure in Australia. Are digital banks the future?